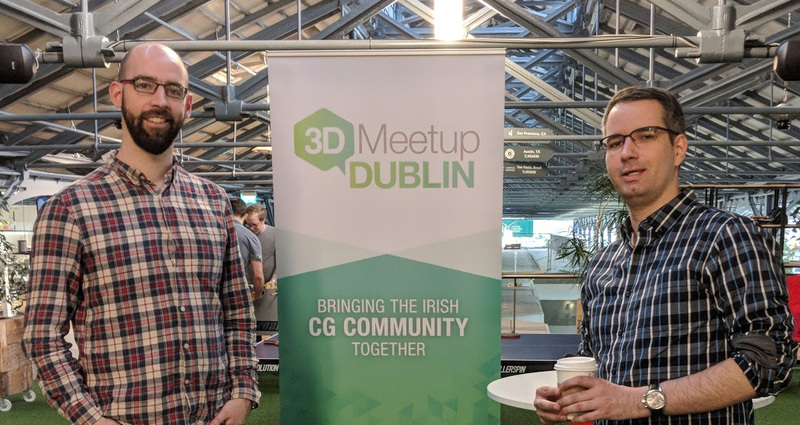 We set up 3D Meetup Dublin to foster a community of people who are passionate about 3D. With our meetups we want to not only provide talks and information for those involved, but also to build strong and beneficial relationships across the industry that will bring about real change and growth. We want to bring together industry professionals, researchers, students and anyone with a passion for 3D to discuss ideas, projects and new developments in a friendly and relaxed environment. We believe that great things can come from this kind of collaboration. Sharing our knowledge and experience makes us all better artists. We want to create a platform and build a welcoming and inclusive community around these ideals. From asking around we know there is a genuine need for a community such as this so please, we welcome you to be part of it. To build a strong and supportive VFX/3D network, full of artists and enthusiasts who can create strong relationships across the industry and enact real change and growth. Pearse is a skilled 3D generalist who’s passionate about the Irish 3D and VFX industry. He is responsible for networking and public relations. Gus has over eight years of personal and professional experience in the 3D industry and is responsible for general management and coordination. The philosophy behind the 3D Dublin group is that the best mentors and advisers are your colleagues working in different fields and environments across the industry.